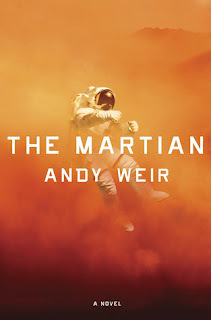 I listened to the audio of the Martian and loved it, I hope oyu enjoy reading it. Have fun heading out doors today! Kimberly - I've heard such good things about The Martian. I probably should have gone with the audio, but I already have so many I'm not listening to. Enjoy the nice weather! I thought TWD was pretty good- it's nice to have a change of pace and see Rick and daryl spend time together. Although they made some interesting decisions... you'd think they know better by now. :) And I need to see more Carol, she hasn't had a ton of screen time this season. I'm liking it this season though. Greg - I am looking forward to this week's The Walking Dead. Surprisingly, I haven't yet heard anything about it. I think too many people were watching the Oscars instead. I usually watch on Fridays. I liked the scenes with Rick and Daryl. :-) I'm really curious about the new guy. I hope we see more Carol soon! My mother shares my passion for reading as does my brother. My parents must have encouraged both of us when young because we loved it as kids and continue to do so! Deborah - I hope my daughter will always love to read. :-) I hope you have a great week too! I hope you and your family had a wonderful weekend! Our weather has been nice lately with little rains. I'm glad my daughters share my passion for reading. I think it's good to instill a good reading habit when they are young. For me, reading comes naturally to me; my parents rarely read but they do read newspapers daily. Nowadays schools also play a part as they have silent reading programs before classes start everyday. It may only be less than thirty minutes but I think it's good enough. Melody - Thank you! It was a very nice weekend. :-) Not too hot and not too cold. I've always loved to read too. My brother had trouble with learning to read early on and the teachers were very hard on him. My mom often attributes that to his not liking to read for years after. It wasn't until he was an adult that he began reading for pleasure. I love it when the weather's good! That's when we take our dog out on walks! No one in my family reads like I do! Though my Mum has been known to read a bit and my 7 year old brother seems to be beginning to be really into books! Laura - Good weather is perfect for dog walking! I wish my cats did better on leashes. I might be more tempted to let them out in that case. I am the only reader in my immediate family, although my two oldest sons have had their obsessions with Stephen King, etc. My eldest also loves those writers that are slightly off-center, like Hunter S. Thompson, RIP. Some of my grandchildren enjoy reading, like my youngest, Noah; however, video games are competing for his attention. I've been noticing The Walking Dead on my Netflix when I boot up my page, and they show me things I might like...I'm a fan of Breaking Bad, Better Call Saul, etc. Laurel-Rain - Yes, video games are easy to get sucked into, unfortunately. My guilty pleasure is television, which I'm sure does little to help my reading. It is a beautiful day here as well so I hope to go out and do some shopping and walking around town. Enjoy the day out with your family! I'm glad you like Delia's Shadow. I liked that one too. I haven't read The Martian yet though I loved the movie and I want to read Sisters of Heart and Snow. I hope you enjoy them both! Wasn't the movie, The Martian, good? I really liked it too. I am hoping I like Sisters of Heart and Snow too. It sounds good, at least. Yay for enjoying the weather. It's nice to see some nice spring weather. You got some great books this week. Have a great week. Megan - I love this weather--if only it didn't mean allergy season came with it. :-( I hope you have a great week too! I'll be curious to see what you think of The Martian. I feel like I should read it but haven't gotten to it yet. Sisters of Heart and Snow look really good! That's good that your family is a reading family even if you don't talk about it all that much with them. You don't have to explain why you just want to go read a book! Have a great week. Katherine - I am not sure when I will get to it, but I hope I like it. I have gone back and forth about whether to read it for so long. I did really enjoy the movie. 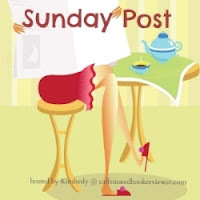 I couldn't resist accepting the offer to review Sisters of Heart and Snow. I haven't read the author's other work, but I'm excited about this one. I hope you have a great week too! I cannot wait to hear what you think of Martian! I have a mixed family as far as reading is concerned. My husband reads occasionally, my dad loves to read legal thrillers, and my brother loves science fiction. Everyone else only occasionally dabbles in reading. Also, my brother and I talk about the books we read with each other but no one else particularly cares to make it social. The Martian is one of those rare books where I actually enjoyed the movie more! We listened to the audiobook on a roadtrip, so maybe I was just distracted a bit. The audio was fantastic but Matt Damon does such a great job of bringing the book to life. I do come from a family of readers, though none of them is as extreme as I am. It's funny, though, because I don't like to chat about books offline. I don't really know why--but other than my dad, who I loan books, we don't usually read the same kinds of books and honestly I don't like hearing a book rehashed by someone else. Though...my sister and I do love gushing about Outlander. LOL! Scott really wants to watch The Walking Dead but I'd rather wait until the series has run it's course so we can binge. Funny how Netflix has changed how we watch TV! We just finished the X-Files event this week...really loved seeing Mulder and Scully again. And we are two episodes away from finishing The Sopranos. Not sure what we'll watch next!! Thanks for letting me ramble. LOL! Hope you have a great week Wendy. Trish - I can see that happening to me too--liking the movie more than the book. It's one of those books I've been dragging my feet about reading. I don't really chat about books offline all that much either. Except maybe to my husband who puts up with my blog talk too. Binge watching--my guilty pleasure. I binge watched the second through fourth seasons of The Walking Dead. I have coworkers who watch the show and we discuss it as we watch-which I think makes watching live more worthwhile. I never did finish watching The Sopranos. I liked the seasons I did see of it. I'm surprised my husband hasn't been interested in the new X-Files. He used to love that show. In my family the reading obsession skipped a generation and my grandkids love to read, but only print copies. My daughter actually sold her Fire to a coworker because the kids wouldn't use it anymore. I have The Martian and am contemplating when to read it. My son loved it, my hubs who doesn't read anymore might read it, I might too. Rita - I have very few e-books for my daughter on my Kindle, but she has a ton of print books. I prefer it that way at this point. I am trying to convince my husband to read The Martian before I do. I'm not sure when I'll get to it. I've been on the fence about it for awhile now. My mother was a reader and my father read a lot of nonfiction; both my daughters are readers, and my grands seem to be as well. I held off on last week's episode of TWD, but don't know if I can hold off again. :( Like Trish, I prefer to binge, but I'm weak. Jenclair - You have a family of readers! That's wonderful. Hopefully my daughter will love reading as well. I haven't seen last night's episode of The Walking Dead yet. Hopefully Friday. My daughter is 9 and enjoys reading, not as much as me yet. I love watching her read and seeing the different expressions, sad or laughter, it is rewarding to watch. I am interested in the Martian but the movie would probably suit me better. Glad your daughter didn't get the stomach bug, well done both of you. Washing hand good practice may have helped this. Marce - Your daughter still has time. :-) My daughter is just beginning to learn to read--the very beginning stages. I'm sure it will be awhile yet before she's able to read on her own. Her stomach bug was very short lived, fortunately. My husband and I seemed to have missed it though, thank goodness. 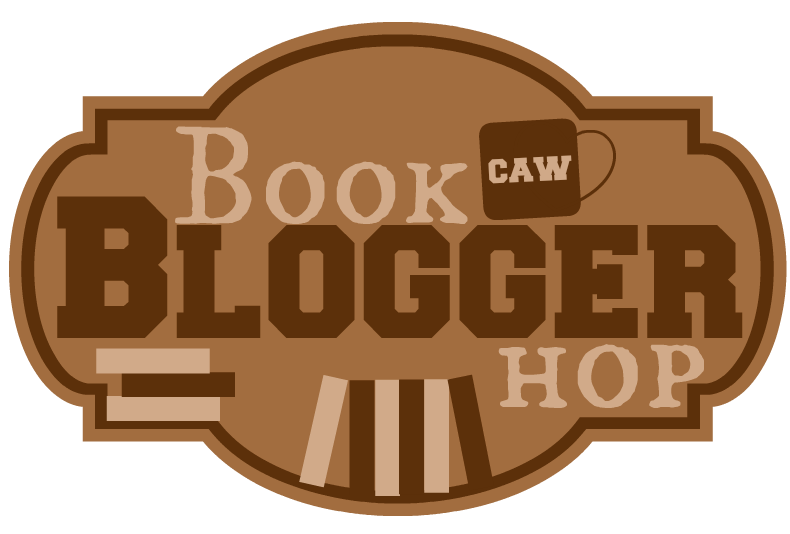 Nice answer to the Book Blogger Hop. Elizabeth - Thank you for dropping by! I am so ready for spring! I have had sick kids for the past two weeks and are just now getting healthy. Yuck! I have The Martian on my TBR list but who knows when I will get to it? Hope you have a great week! I love your story but now that I read I realize I need to talk more to my family about what I read. I do with my friends though. Teri - I should make more of an effort to do the same, I think. Lucky you to be raised by readers. Neither of my parents were readers other than magazines and newspapers. Fortunately for me I became an early fan of library activities. Poor Mouse - glad the bug passed quickly. Have a great week. Diane - I do feel lucky in that way. :-) My dad was a big newspaper reader too and never understood why I never bothered to subscribe to the paper when I moved out on my own. I hope you have a great week too! Despite not being close to them I think it's awesome you've a family of readers; reading must be in your genes :) Even if you don't read the same books you have that overall same appreciation. I've not many in my family that I know of but then I only recently found out about my Dad so, given that, anything's possible! Glad to hear Mouse is better. There was a constant trudge of sicknesses around in the UK last month but it seems mostly okay now, the warmer weather seems to be helping. I am glad the stomach virus didn't last long for her. Now I have a cold--or maybe it's just bad allergies. I would like to think it's just allergies, at least. It's bad timing though as we have family coming into town this weekend. Longing to learn your thoughts on The Martian which I reviewed today. Its one of my greatest sadnesses that despite always buying books for our nieces and nephew not one of them has grown up with a passion for books. Tracy - It will probably be awhile before I read it. I really liked the movie and hope the same will hold true for the book. I'm sorry you weren't satisfied with it. Some of your concerns are ones that make me hesitate to read it. Glad to read the positive updates on weather. :) And, I am so pleased to know that everyone in your family reads. Deepika - I am happy when it rains too, :-) I like the cover of The Martian too. Although I wouldn't want to be the person in the photo. :-) I hope you have a great March too! THE MARTIAN was so so good! I hope you like it! I want to read The Martian too. I really liked the movie. I'm glad Mouse is feeling better! I wish everybody in my family read! I'm still trying though! Thanks for visiting my blog! Kim - The movie was very good, wasn't it? I want to buy a copy and add it to our collection. I think my husband would like it. Thank you! I am glad Mouse is feeling better too. Now it's my turn to be sick--thank goodness it's not the stomach virus though! Whew. YAY for being in a family of readers!! You are indeed very lucky!! It's just wonderful to not only be surrounded by books, but also by people who love them!! And I think it's awesome that your dad instilled a love of history in you. That's a great genre to read! I need to be reading more of such books, as well. I'm interested in all three of the books you've mentioned here. First off, I've never heard of a FEMALE samurai. Heck, that's absolutely GREAT!! And oh, "The Martian"!! Of course I want to read that, since I'm an SF buff. 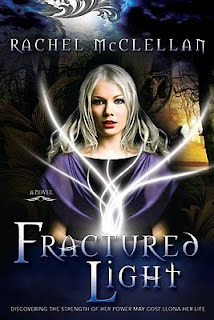 And, as a lover of YA, I also want to read "Fractured Light". LOVE your reading choices! Gee, it's too bad that Mouse came down with a stomach bug, but I'm very happy to hear that she's already gotten over it! And you guys are already planning her birthday! COOL!! 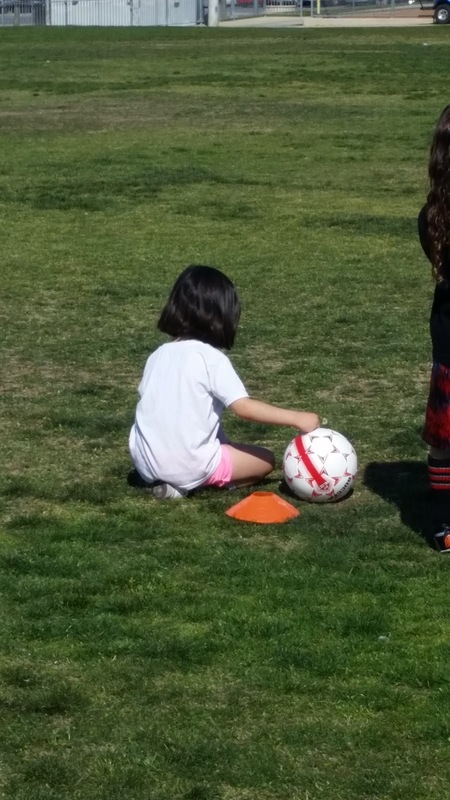 She looks so cute in that picture, too, with her soccer ball! God bless you and her!! Maria - Let's just hope my daughter continues to enjoy reading. :-) I work in an office right now where some of the staff enjoy reading--I love that. I had never heard of a female samurai either. I'm really looking forward to reading that one. I have a feeling I will be doing some research of my own when I finish just so I can learn more about her. I hope I will like The Martian. I've been on the fence about it for so long, but I think I'm going to go ahead and read it. Especially since now we own a copy. :-) I thought Fractured Light sounded good as well. Thank you! Mouse was back to her normal self the next day. Kids recover so quickly. We may have to delay the party with her friends depending on the weather. She's not too happy about that--but she has her heart set on an outdoor party. We'll see how the weather looks next week. Birthdays are so exciting! I bet your daughter can't wait. I can't wait to see what you think about The Martian. I liked it but not as much as I thought I would. The movie followed the book pretty well. I really wish my husband would read. I honestly think he would enjoy it if he would just pick up a book. My daughters do enjoy reading. My oldest reads classics so we don't have a lot in common with books. My teenager tends to read more popular books and actually listens to my recommendations. It's good to know the book and movie are pretty much in line regarding The Martian. I hope I like the book. My husband doesn't read as much as he used to. He is writing again though, so I think it's a worthy trade off. He loves to write, and it's good to see him doing so again. I hope my daughter will love books--even if just half as much as I do. That's nice that reading is in your genes. My mom is a reader, but a picky one. From a young age I took my kids to the library too and always made reading time a regular thing at home. So both my kids are readers thankfully. My daughter has just discovered Nicholas Sparks and we have been reading Dear John together which has been so nice. Hubby is a non-reader but I still love him lol. The Martian looks good, I want to watch the film. Glad she is feeling better and I'm sure she is excited about her birthday! They are too cute at that age. Naida - That's my husband--he's a very picky reader. :-) I love that you and your daughter are reading the same books. It's fun when you can discuss them, isn't it? I love this age my daughter is in right now. She wants to grow up so fast and I want her to take her time. That's the way it was with us too, I know. Always in a hurry to grow up and then wishing we could slow time down when we get older. 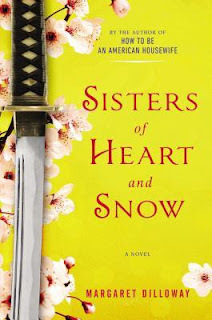 Sisters of Heart and Snow looks like my kind of read- I like books with blades on the cover. I'm glad Mouse is feeling better- I once had to cancel one of my parties due to illness as a kid, and I was not a happy camper. As for the Martian, once I saw the movie I appreciated the book more (I read the book first)- I usually do not like vulgarities (except when *I* say them), but it was something I missed in the movie, since it was really a part of Mark's personality. Also, since I listened to it as an audiobook while reading my Kindle, Matt Damon's voice didn't match the one I heard as Mark's, so that may have had something to do with it. Litha Nelle - Doesn't it sound good? I'm excited to be reading it. Fingers crossed the rain is gone for the next couple days or my daughter will be one very unhappy girl. It's hard having a birthday this time of year--you never know if the weather will cooperate if you want an outdoor party. I imagine it will be hard not to picture Matt Damon as Mark when I read the book. One big disadvantage to seeing the movie first.